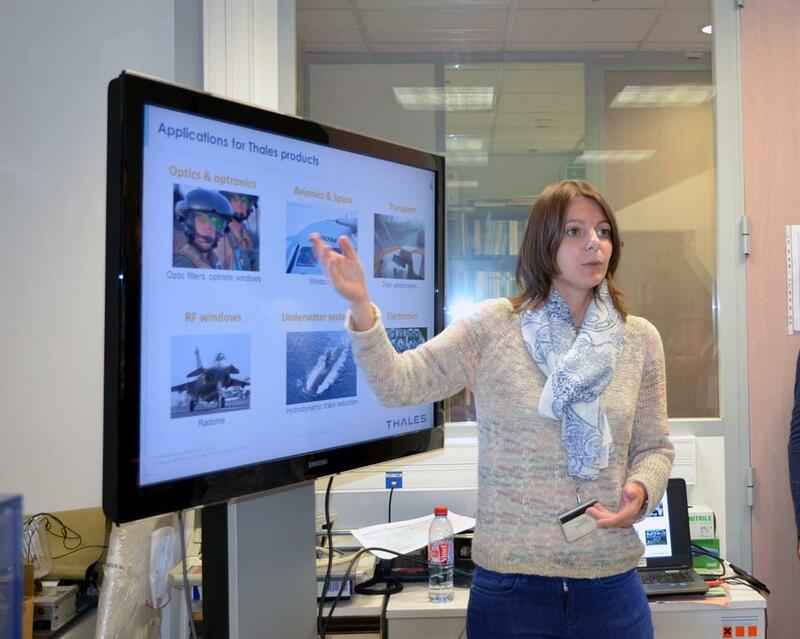 Shifting to industry, while remaining in the scientific research domain, the next stopover was not far from the Onera, the main Thales Research & Technology (TRT) site being also at Palaiseau, other TRT sites being in Reading (UK), Delft and Enschede (NL), Singapore and Canada. Here the company pursues pursuing advanced research in physics, algorithms, modelling and software, key elements to consolidate its technology leadership in each of its five key markets, aerospace, space, transportation, defence and security. Some 3,000 personnel of the 25,000 workforce are involved in R&D, investment in this field representing 20% of sales. The Palaiseau TRT works closely in cooperation with academia, and a longstanding agreement with the Centre National de la Recherche Scientifique (CNRS), the French National Center for Scientific Research, led to the establishment of over 20 common laboratories, some also in Singapore and Canada. Over 200 common projects are underway, while over 120 common patents were obtained. Thales France works closely with SMEs as well as with intermediate size companies, those between the majors and SMEs, and since 2012 is increasing its links with start-ups. Each year 400,00 start-ups are created, 80,000 of them in the Silicon Valley. The Starbust start-up accelerator was created in France and then exported to the US, and of the 300-400 start-ups part of the Startbust portfolio in France around one third are of interest for Thales. 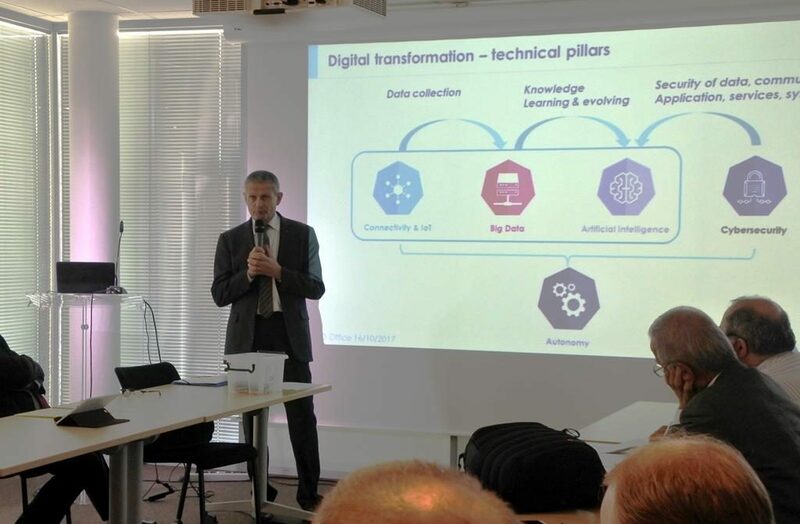 Thales is fully involved in the digital transformation, which includes connectivity and Internet of Things, Big Data, Artificial Intelligence and Cybersecurity. The group carried out acquisitions to increase its footprint in some of those domains; in 2014 Thales acquired LiveTV from JetBlue, a company specialised in broadband connectivity on aircraft, in 2016 it acquired Vormetic, active in the cyberdefence field, and finally in 2017 it acquired Guavus, which core business is big data management. Overall in the past three years Thales invested one billion Euro in the digital business and in June 2017 it opened its high-tech digital technologies competence centre, known as Digital Factory, which core business is cybersecurity, and which currently employs 70 people that will more than double in 2018. Thales looks at improvements in different fields: reducing power consumption of electronic systems, anticipate systems failure in order to increase availability, developing “genetic algorithms” capable to beat cyber-attacks in the same way our body defends itself against viruses. Thales Digital Factory was selected by “Station F”, a startup campus that gathers under a single roof 26 start-up programmes, to manage its cybersecurity programme and provide advice and technical expertise in that field. Before visiting the TRT premises, Gen. Alain Bouquin discussed the importance of Artificial Intelligence in the military field. 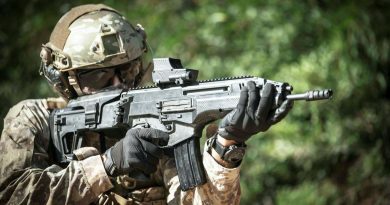 Digitisation meant stepping from paper onto computers, “but the digital revolution is something different,” as it will bring to the Internet of Objects of the battlefield. This hyperconnection will first have an impact on logistics, HUMS measuring the usage and allowing to forecast failures; this is already a reality on radars and will be extended to vehicles and smaller weapon systems such as rifles. The same will become possible also for soldiers, measuring fatigue and stress. But AI will give its best in the intelligence field: considering the number of sensors and the huge amount of information available, these need to be exploited to provide structured intelligence. In the future AI and Big Data management will allow to generate a global view based on heterogeneous information, some of them false, deconflicting and regrouping them, replacing intelligence operators, shortening fruition time and increasing effectiveness. It will be possible to extract weak signals from the clutter, something that was missed when cues signalling potential terrorist threats were lost in the huge amount of incoming information. AI will obviously have an impact on robotics, although in lethal functions the topic has to be addressed quite conservatively due to legal responsibilities if autonomous decisions would be considered. The TRT Artificial Intelligence laboratory developed a biometric simulation system, based on AI in its wider sense, that is deep learning, and Big Data handling, that allow to simulate crowd behaviour. The system is basically an artificial life engine that simulates human behaviour and is already in use to support infrastructures design as well as for embedded training. The system generates video feed showing human models moving in pre-set backgrounds; the system uses the most recent codec standard, the H.264, which allows to halven the bitrate compared to current standards. The number of human models is relatively small, cost being the consideration that limits their number, thus many of them look similar in the simulation, however each one has a different behaviour the system also considering their feelings. Thales provided a simulation system to predict and analyse crowd behaviour at the Mecca, in order to limit the number of accidents. The site is watched by 10,000 cameras, embedded simulation considering 5,000 people, one tenth of the real crowd, while 30 different 3-D models are “acting”, each model costing around 10,000 Euro. In 2015 the system was used for a test on transport security in Paris, precisely on the underground Line 14. 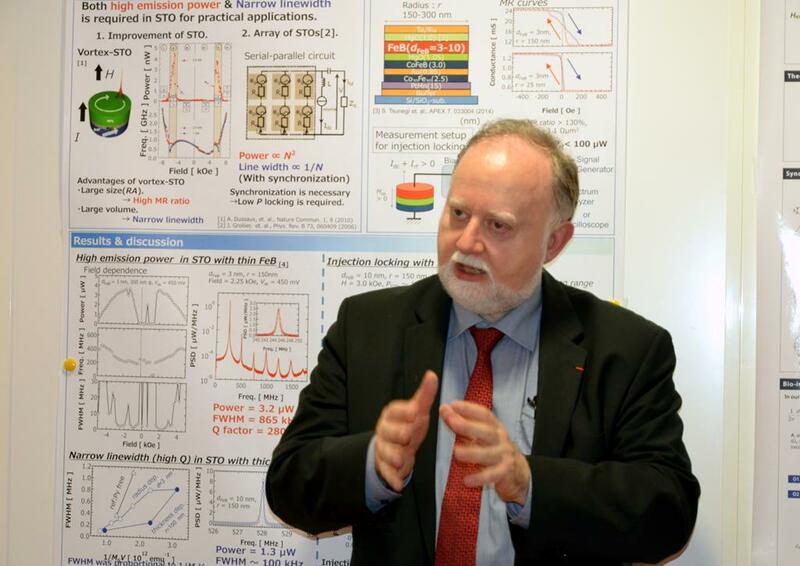 The CNRS-Thales laboratory at Palaiseau was created 22 years ago and is currently manned by around 70 people, whose task is to look way forward in other to generate technological quantum jumps, and to follow technologies towards products. Most of its work is aimed at improving electronics. Spintronics, a term indicating spin transport electronics, is one of the subjects, the aim being exploiting the intrinsic spin of the electron and its associated magnetic moment to store information in superdense magnetoresistive random-access memory chips. Functional oxides is another of the research subjects, with the objective of finding new material with new functionalities, a single material being capable to do more than one thing. Superconductivity is another subject of study, the main obstacle being cooling as those materiel reach their performances at –200°C, allowing to create filters with virtually no loss. The CNRS/Thales lab developed the prototype of a cryostat the size of a beer can that is able to reach that temperature in two and a half minutes with limited power consumption. Demonstrations should follow soon, the insertion of such technologies into products being considered not too far away. How to make computers more similar to the human brain, in order to reduce their consumption while improving their performances? This is another theme of research at Palaiseau and more precisely at the Unite Mixte de Physique CNRS-Thales, also known as UMR 137. 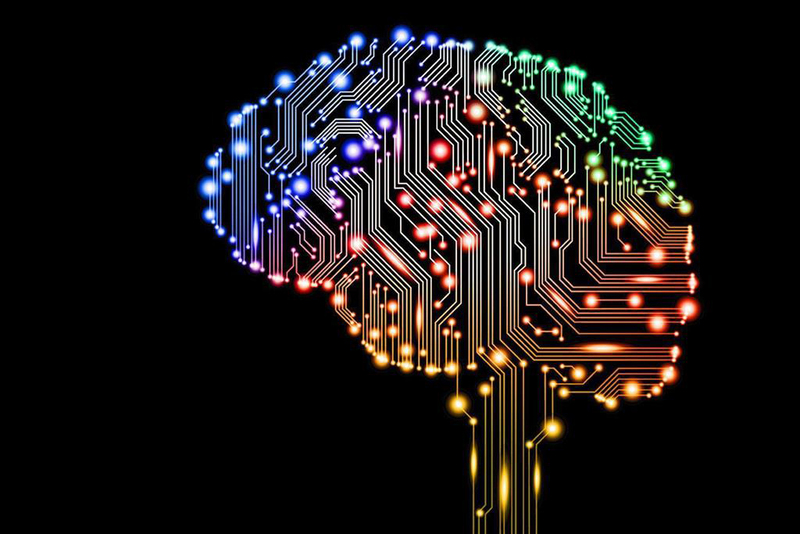 According to Thales scientists, the human brain has an average consumption of 20 W; however the latest artificial intelligence algorithms able to recognise visual and vocal cues with high levels of performance use 10,000 times more energy than the human brain. The main reason for this is that in current computers computing and memory elements are located apart, while in the human brain neurones, the computing elements, and synapses, memory elements, are interconnected. The aim is thus to develop nanocomponents that can act as neurones or synapses. The lab has developed nano-synapses exploiting ferro-electric junctions, that set electrical resistance according to stimulations. 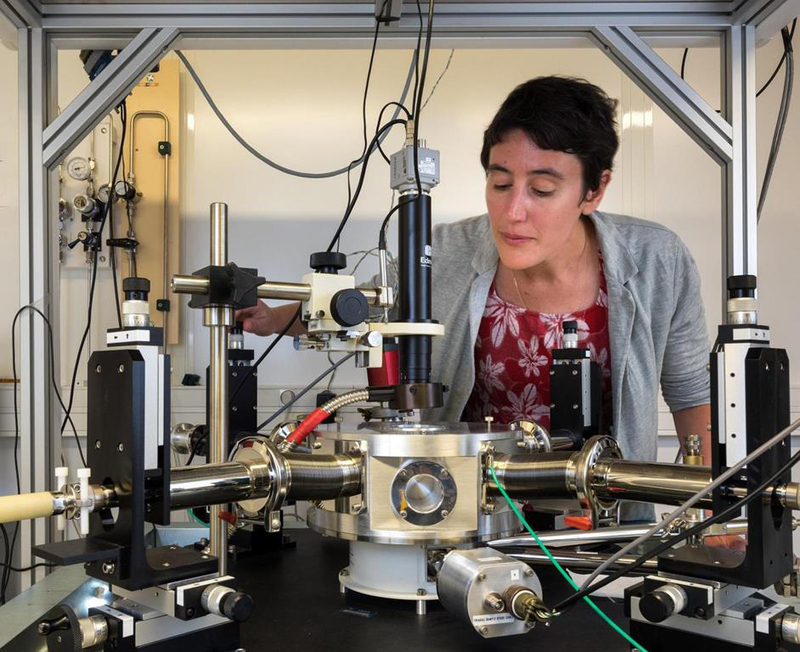 The lab at Palaiseau created electronic nano-neurons exploiting spintronics that are able to recognise a spoken number with 99.6% accuracy. To recognise a vocal a number of neurones is needed, while some 100 million will allow to generate electronic memories. To generate a quantum jump in computing architecture at least one million neurons will be needed. According to Thales scientists, in the next few years, these magnetic nano-neurons could be interconnected via artificial synapses, such as those recently developed, for real-time big data analytics and classification. The long-term goal is to produce extremely energy-efficient miniaturised chips with the intelligence needed to learn from and adapt to the constantly ever-changing and ambiguous situations of the real world. The last lab visited dealt with nanostructured surfaces, aimed at obtaining super-hydrophobic materiel useful for applications in Thales products. The main problem is to couple together mechanical and radio-frequency properties. The study started from the analysis of natural elements that behave in a certain way, i.e. the lotus leaves, in which water drops float on rugosity. The effect of the structure shape of those leaves was studied, showing that coned-shaped nanostructures have better properties in expelling water nano-drops compared to cylinder-shaped ones, the hydrodynamics laboratory being also involved in the programme. The aim of the TRT laboratory is to come up with a material with anti-rain, anti-fog and self-cleaning properties. This materiel would be very effective on systems such as the Gatekeeper, the staring electro-optical ship security system developed by Thales NL, which currently needs wipers and cleaning liquid to allow a clear view, as the Kate Long Range used on RCWS and turrets, and optronic products. The nanostructures lab is also investigating new concepts for conformal antennas, for radar and communication equipment, that would be smaller, lighter and with better performances. 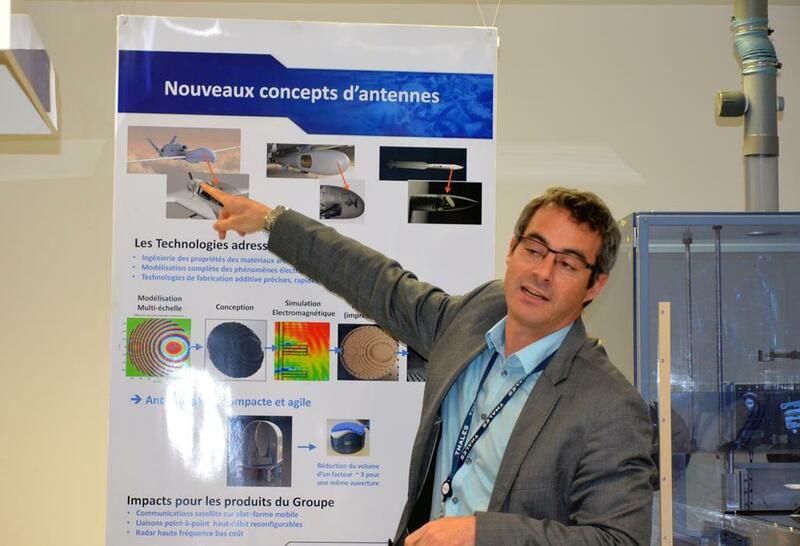 Specimen seen at the lab, produced using additive manufacturing technologies, allowed to shift from cone-shaped antennas to plain antennas, with consistent aerodynamics improvements when used on aircraft, while gain was growing from 30 dB to 33 dB. Those antennas based on structured materiel should cover frequencies from high UHF to 15 GB, thus including X-band radars and KA-band SATCOM systems.